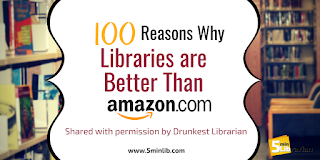 On Saturday, July 21, 2018, Forbes published an op-ed piece by Panos Mourdoukoutas titled, "Amazon Should Replace Local Libraries to Save Taxpayers Money.” Due to backlash by pretty much everyone, this article has since been removed. Due to the magic of the internet, however, you can still read the article on a cached copy of the website here. Mourdoukoutas is an economist who works for Long Island University, and presumably does not have a library card. Libraries and librarians are at the forefront of free speech debates. Amazon...sells stuff. Libraries more often than not are beautiful buildings that provide an intangible form of inspiration. Amazon stores are...well, stores. Would an Amazon bookstore carry books critical of Amazon? 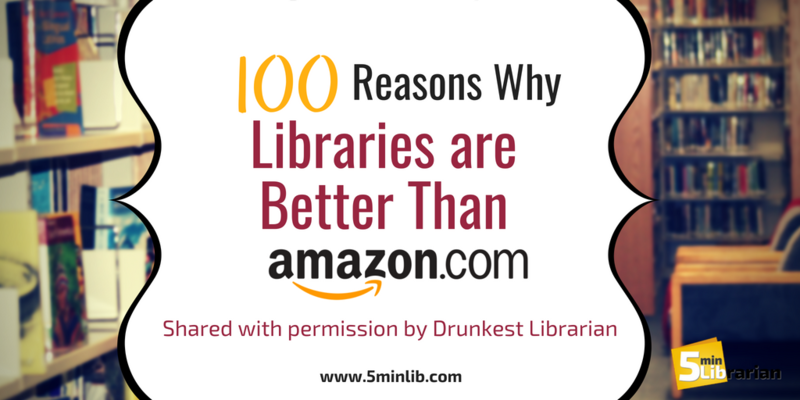 Maybe, but their mission is not the same as a public library, so...also maybe not.